Community leaders in Tamina are eager to make positive change after a fatal house fire killed three children. TAMINA, Texas (KTRK) -- Firefighters are returning to the Montgomery community of Tamina in the wake of a tragic fire that cut short three young lives. They are hoping their latest trip will prevent more deaths. Fire Marshall Jimmy Williams is working with firefighters from Needham and The Woodlands, getting ready to knock on every Tamina door and install as many smoke detectors as those homes need to be safe. "We're first going to celebrate the lives of the Johnson family and grieve for the children, and we want to remember those children. That's the reason we're doing this effort," Williams said. Firefighters hope to outfit every home in Tamina with a smoke detector. The effort started days after the fire. ABC13 was proud to connect the Needham Fire Department with our partners at Kidde Corporation to speed it up. "As soon as Channel 13 got involved with us, it was immediate," Needham Fire Chief Kevin Hosler said. "There was no question asked after that point. It was, 'How many do you need and where can we ship them?'" "Having these alarms installed in homes will save lives, giving tenants the second they need to escape. Having them professionally installed will ensure they are working properly," Kidde spokesperson Sharon Cooksey said. "When Chief [Hosler] reached out and asked us to donate to this community in such desperate need, we were happy to do it. It fulfills our mission of saving lives." National statistics suggest having a smoke detector cuts the risk of dying in a fire by 50 percent. It won't bring these children back, nothing can. But the program aims to take away any barrier to not having advance warning -- money, knowledge, the time to install them -- hoping it can give the rest of the community a chance they may not have had before. "We can't just stand by and not do anything," Williams said. 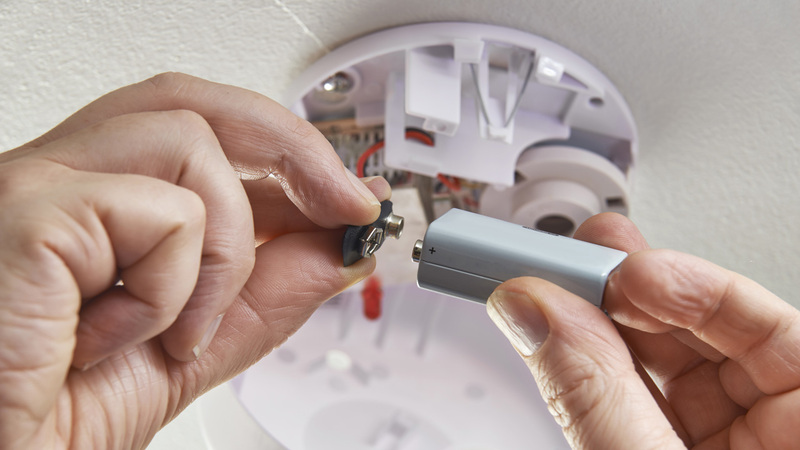 Experts recommend having a smoke detector installed on every level of your home. Is your home adequately protected against the threat of a fire? Leaders in the Tamina community hope the increased attention doesn't stop at smoke detectors. The lives of those children, Shirley Grimes hopes, will "touch the hearts of people in a position to help us get water and sewer,"
Grimes runs the Tamina Community Center. She knew the children who died and hopes her neighbors welcome the firefighter's efforts. But she hopes is isn't the end of the cooperation. Tamina still has no municipal sewer, water or fire hydrant system. There have been efforts to get the services there for decades. Grimes hopes this tragedy may be able to jump-start those talks. "Let's take what has happened and use it as a platform to make sure we have access to the services we've always needed," community leader Rita Wiltz.